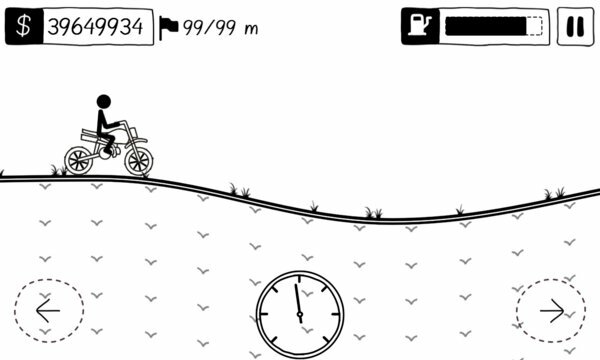 Stickman Motocross is endless car & bike racing game with old fashion but elegant black & white theme for free. Stickman is crazy driver, who loves riding any vehicle like car, scooter, dirt bike, harley bike, racing car, truck. Select any of this vehicle and ride any where, yes you heard it right any where. Drive on countryside, desert, mountains, snow, city and even on moon hills & tracks, grab fuel during your ride and don't let stickman's head hit on ground and enjoy endless & addictive hill climb game experience. Collect coins while riding on hills, perform insane stunts while your crazy ride to get bonus coins. Modify & upgrade each vehicle's parts before your ride like engine, fuel tank size, suspensions & mid air controls to make your racing experience smooth and insane. 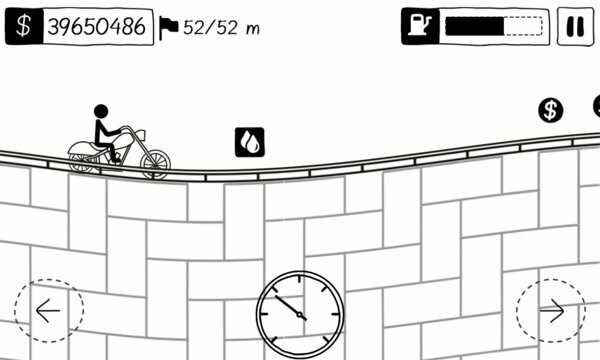 - Numerous hill levels with unique difficulty for crazy & endless game experience. - Plenty of different vehicles to select from each time you play game. - Upgrades for each vehicle like speed, fuel, suspensions & mid air vehicle control. - Flawless graphics and smooth physics game simulation for better game play.